We take a brief look at the closer bilateral ties between Ireland and North Korea – and the attention given to us over there. WHILE IRELAND’S PERCEPTION of North Korea is, by and large, in line with that of other Western countries – that North Korea is something of an economic and political failure – Pyongyang seems to keep quite a close eye on what’s happening over here. The website of the Korean Central News Agency (KCNA) – which issues regular daily despatches in English and Spanish as well as in Korean – often features references to the economic and political goings-on over here. So, for example, those getting their news from KCNA will be aware of Vision-Net.ie analysis telling them that five Irish firms “collapsed” per day in the first 11 months of this year, leaving aggregate debts of €1.15 billion. They will also be aware of our recent presidential election, with the president of its Supreme People’s Assembly – the de facto head of government Kim Yong-nam – sending his best wishes to “Micheal Higgins” last month after his October election. North Koreans are also kept well abreast of the fall in Irish car sales last month, the simultaneous fall in consumer confidence, the dip in retail sales in the third quarter, Eamon Gilmore’s address to the UN General Assembly. They are also informed, as a matter of sweet diplomacy, that Kim Yong-nam sends St Patrick’s Day greetings to us most years – including in 2009 and 2010. North Korea’s worker-oriented politics find close favour with those of similar mindsets in Ireland. KCNA tells us that in September 2005, the Irish Workers’ Party appointed a committee to prepare for the 60th anniversary of the foundation of its ruling Korean cousin. Though little evidence remains of what that committee may have achieved, the KCNA report does tell us that the committee was to be chaired by Sean Garland, the then-president (and current treasurer) of the Irish Workers’ Party. Garland – a senior figure in the Official IRA – allegedly has other links with North Korea; he is currently the subject of an application to be extradited to the United States, whose currency he is alleged of counterfeiting. It should be explained that counterfeit $100 bills are one of North Korea’s main exports: as NPR reported earlier this year, shadier businessmen will exchange real US dollars for counterfeit ones, often at a rate of around $60 genuine to $100 fake ones. 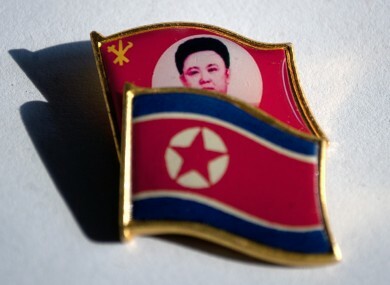 The Workers’ Party has other historical solidarity with North Korea – joining with the Communist Party and the Irish-Korean Friendship Society in April 2001 to write to the Irish government, expressing support for North Korea and condemning the US-led campaign against it. While representations from North Korea are rarely raised at Oireachtas level, North Korean representatives have been present to see some of the Dáil’s most important business. On the first day of Dáil sittings after Ireland agreed to apply for EU-IMF funding, proceedings were held up (albeit only by a few seconds) to welcome DPR Korea’s ambassador to Ireland, Ja Song-nam, who was watching business in the visitors’ gallery. North Korea does not have an embassy in Ireland – its British ambassador is accredited here – while the Irish Department of Foreign Affairs’ embassy in Seoul, South Korea is also accredited to Korea DPR. Despite the two countries establishing formal diplomatic relations in 2003, the Department of Foreign Affairs has affirmed this afternoon that it had “no plans at this point to issue a statement in relation to the death of Kim Jong Il”. Indeed, relations between the countries – on an official level – are not entirely without their hitches: one of Michael Noonan’s first formal acts as Minister for Finance was to reaffirm a ban on financial transfers to the world’s most secretive state. Email “A closer look: the links between Ireland and North Korea”. Feedback on “A closer look: the links between Ireland and North Korea”.